As computer technology advances, the internet services, computer products, and even the legislation change. The computer age we live in is an ever-expanding industry, however, with this boost in the industry there is a crime element included within it. A Master of Laws in Computer Law will benefit students in the legal requirements involved with computer products and communication technology. Additionally, students will also learn about problematic matters such as; Cybercrime, information privacy and data protection, e-commerce, and internet law. LLMs in Computer Law are usually one-year full-time courses that start in either September or January. However there is often the chance to study on a part time basis for two years. All LLM programs demand a final dissertation, which can range from around 10,000 words to 20,000 words. LLM in IT & Computer Law – Who’s It For? An LLM in IT & Computer Law can help anyone who wants to enhance their legal career. It offers graduates an ideal opportunity to expand their potential in an industry which has limitless career choices and job security. The job prospects are exciting and rewarding with great potential to move up the career ladder. This is great for anybody who is excited about helping make the computer industry a safer place and becoming part of an enforcement enterprise. Additionally, there are online and distance-learning options available for those not available to commit to full-time study. Where Can You Study An LLM In IT & Computer Law? 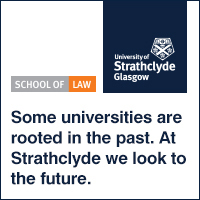 You can study an LLM in IT & Computer Law all over the world! For students based in the United Kingdom there are options for study in Queen Mary University of London and Aberyswyth University, and in mainland Europe, Germany has options at Leibniz Universität Hannover and Düsseldorf Law School; Sweden has options available at Stockholm University; Norway at the University of Oslo; while for students based in Belgium there are options available at the University of Notre-Dame De La Paix Namur. On the other side of the pond, students in the USA can head for John Marshall Law School in Chicago and in Canada the Univesitè de Montrèal in Quebec has a great course. For students based in Australia there are options at the University of New South Wales (UNSW). For students based in Hong Kong there are options at the University of Hong Kong. For students based in South Africa there are options at the University of Cape Town. Furthermore, it is also possible to partake in this type of course online and there are several types of distance-learning options available. What Qualifications Do You Need To Study An LLM In IT & Computer Law? To study an LLM in IT & Computer Law you will usually need to hold a good degree (2.1 or above) in law, or a degree with significant law content. Law graduates with a 2.2 honours that also have other legal qualifications. People with professional legal experience will also be considered, especially if they have relevant work experience. Graduates whose first language isn’t English are required to have high IELTS (or equivalent) scores of 7 or above or TOEFL: 107 or above. Because of ongoing changes in the law we advise international students to regularly check the UKBA website to make sure they can fulfil the necessary requirements. Most individual institutions also have useful information on the Tier 4 requirements for international students, and can offer assistance in terms of student queries about their specific English language requirements. Click here to find out more about English Language requirements for International Students. One student from Queen Mary University London completed his LLM program before pursuing a Bar Vocational Course at the City Law School and was called to the Bar of England and Wales by the honourable society of Lincoln’s Inn. Another student mentioned that before coming QMUL to study her LLM, she was a lawyer for six years focussing on information, communication and technologies practice areas. She chose to study in the United Kingdom as it had an advanced law system and a good education system. 1. 59% of employees steal corporate data when they quit or get fired. 2. The Federal Bureau of Investigation (FBI) was hacked in 1991 and was forced to temporarily take down their internet site, the FBI has a most-wanted list for cyber criminals. 3. There are currently 19 people wanted for consumer losses that range from $350,000 to $100 million. 4. There are currently 1.6 billion social media users worldwide who are potential targets for; Phishing, like - jacking, life – jacking, and social spam. 5. 99% of computers are subject to exploit kits (software vulnerabilities).